As I was waiting for Santa I had a feeling he wasn’t going to come. Then I realized he had to go to every one’s house. After about an hour of waiting I wanted to go inside. But I kept waiting. My dad wanted to take pictures and told me to tell him when he was coming. After a few false alarms he got really close. So me and my dad stood outside waiting again. Then he turned to another street. He finally came over to our house. I may have waited long but it was worth it.? The candy was good too.?? 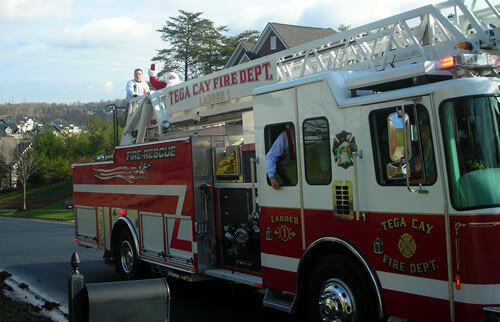 Merry Christmas Santa and to the Tega Cay volunteer Fireman!